The Vitol Group is a global energy and commodities company. Founded in Rotterdam in 1966, today the company has almost 40 offices worldwide – with its largest operations in Geneva, Houston, London and Singapore. The group’s turnover in 2014 was $270 billion. Physical crude oil and refined products supply, logistics and distribution are at the core of the business, but are complemented by refining, shipping, terminals, exploration and production, power generation, mining and retail businesses. Vitol’s expanding downstream network is supported by Vitol’s own refining businesses and its long-term relationships with refiners globally. Today the group has a total refining capacity in excess of 350 kbpd and supplies 2.7 million bbls/day of crude oil and feedstocks. These supply Vitol’s expanding downstream businesses in Africa, Australia and Europe. In Africa, Vivo Energy distributes Shell branded products across 16 countries– it is responsible for over 1400 petrol stations and is opening circa 100 stations each year. Its commercial business supplies Africa’s growing mining and resource sector with fuels and lubricants and, working with Vitol Aviation, it supplies jet fuel to over 20 airports. Vitol will complement this through an additional investment in Nigeria’s leading downstream company Oando Downstream, giving it exposure to Nigeria’s fast growing economy. Vitol is invested in Australia’s growing downstream sector through Viva Energy, which was formed following the acquisition of Shell’s downstream business in Australia. Viva supplies circa 30% of South Australia’s fuel needs, through both imports and products refined at the Geelong refinery, Victoria which it owns. In Europe, Varo Energy is a growing downstream business, comprising refineries, storage and logistics and a distribution network, including a large and established service station network. Strategically positioned to benefit from Europe’s most robust economies, Varo Energy is looking to consolidate assets across a fragmented sector. Vitol has a long history of serving the energy sector in Iraq. 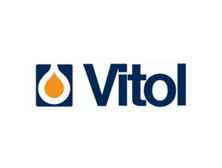 In 2003 Vitol was the first international oil company to supply much needed petroleum products, alongside substantial credit and financing facilities. We continue to work closely with SOMO, lifting crude and responsibly supplying products and offering our expertise where applicable. Vitol also remains committed to investing in appropriate infrastructure projects, such as terminal facilities at Umm Qasr.